Quite some time ago, I wrote about a great phone repair store called Stellar Cellular on College Street. The person who ran that store was named Richard, and he as an overall great guy to deal with, who did amazing work. A couple of weeks ago my wife was having a problem with her phone, and so I reached out to Richard and asked him for some help. To my surprise, he said his store had moved out of town and he was not doing repairs anymore. He highly recommended Maaz at Ask Computers, and suggested giving them a call. Ask Computers is run by two brothers, Maaz and Mani, on Front Street. I called up Maaz and mentioned his colleague, Richard said I should give him a call. I explained the problem with my wife’s phone and he invited me to stop by whenever I could. They’re closed on Sundays so I drove down on a Saturday, showed him the phone and explained the problem. Right away he knew what the problem was. Unlike some places that gave you a ticket, Maaz writes up a work order and a quote, then has you sign off electronically. Additionally, he will also text you updates when repairs are underway and when repairs are completed. He told me he’d try and get back to me later that day, but otherwise it’d be done on Monday. Much to my surprise, about two and a half hours after I dropped it off, I got a message saying it was ready. I stopped by again, paid him, and tried the phone out. The phone was working perfectly fine again, and I even got a follow-up email thanking me for my business and asking me to leave a review. The location is a small store but it was neat and clean, and right away, between the look of the store and the initial conversation, I had felt I was in good hands the entire time. The whole customer service system he had in place was great—something you don’t see often in small businesses. Whether you’re looking to buy computer equipment, get something repaired, or whether you just need advice, Maaz and Mani have a great store and I highly recommend stopping by for your tech needs. Stellar Cellular is Truly Stellar! 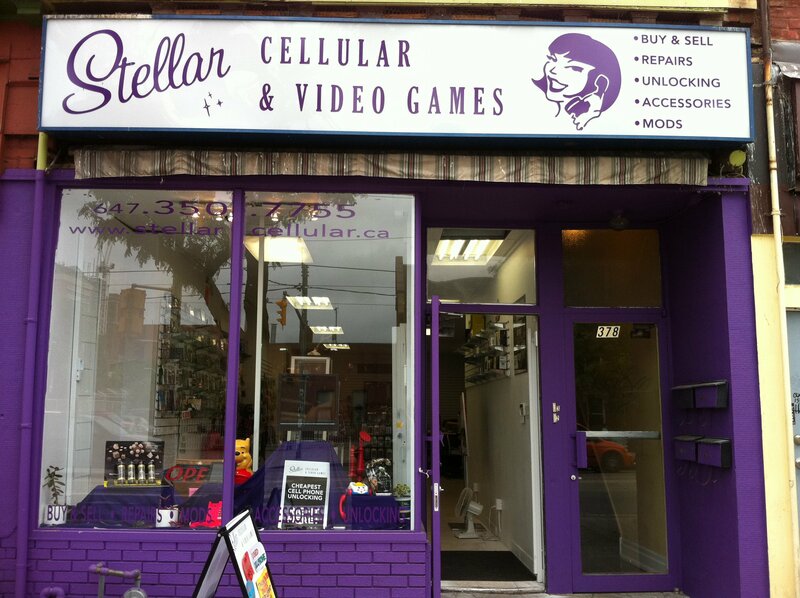 Stellar Cellular is a small tech repair shop, located down on College Street near Bathurst. 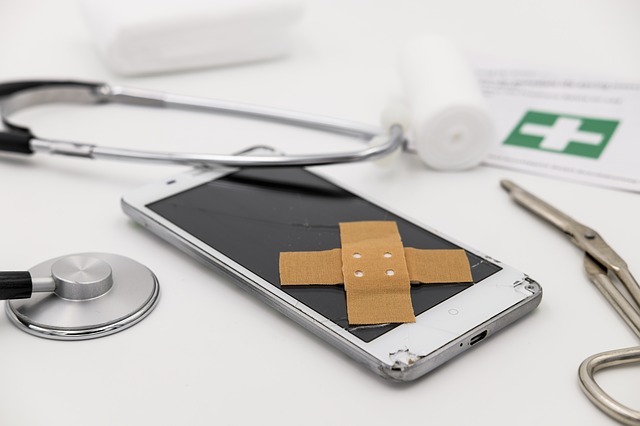 The shop specializes in fixing mobile phones, tablets and computers, and is owned by Richard Martin, who always goes above and beyond to ensure his customers leave happy. In 2014, I wrote about Richard when he fixed my Blackberry and gave me back the money I paid him because he felt badly that I had to drive to the store a few times before the service was complete. Over the recent holiday season, Richard went above and beyond the call to help me, so I felt that I should once again let everyone know what a great business he runs. Around 5 pm, on the Friday before New Years Eve my wife began having problems with her IPhone where she couldn’t hear anything unless it was on the speaker phone setting. I told my wife not to worry and I immediately called Richard down at the store. Since I had a positive experience in the past, I knew Stellar Cellular was where I was going to take my wife’s phone, but I had no idea what time he closes. When I spoke with Richard that Friday night he told me he was closing up the shop in a few minutes, but asked me how far away I was from the store. I told him I was about 15 minutes away and he said he would wait for me so he could look at the phone. Upon arrival, Richard quickly diagnosed and fixed my wife’s phone. He then realized there was a second problem and he was able to fix it within 30 minutes after we arrived. When Richard handed the phone back to my wife, she breathed a big sigh of relief. Let’s be clear though…..not to paint everyone with the same brush, but very few businesses would stay open, on a Friday night….let alone on a holiday weekend….to help their customers out. Richard has always had the attitude of doing whatever it takes to take care of his customers, and this situation was not a rare event, but a common occurrence based on the way that he conducts business…..well done! I’m really glad I discovered Stellar Cellular and highly recommend them if you ever need to get your phone repaired. Their prices are quite reasonable, their staff are very knowledgeable, of course, Richard will do whatever he can to make sure you leave happy.